Let your guests know that your are hosting a nautical themed bridal (or baby!) 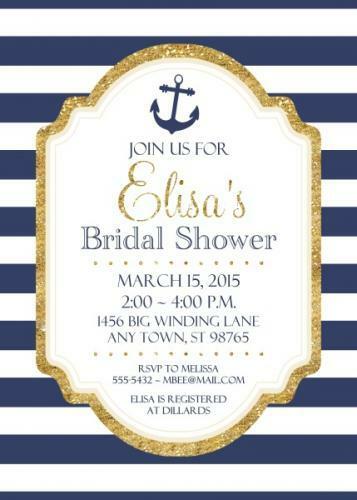 shower with these bright and beautiful anchor bridal shower invitations! Your order is professionally printed on premium matte paper.